The types of compact discs or CDs can be divided into three main categories. The first type is read-only. These discs you purchase with the data or information already on the compact disk. The information is placed on the compact disk at the time the disc is manufactured. All you can do with the disc is play or read it. The second main CD type is the write-once disc. This compact disc is also known as the recordable CD or CD-R. This disc is purchased blank and information can be written or recorded to the disc. Once the disc is full, it essentially becomes a read-only disc because no more information can be recorded to the disc and the previously recorded information cannot be erased and the compact disc cannot be reused. The third type of compact disc is the erasable or rewriteable CD known as the CD-RW. This disc is also purchased blank. Information can be written to the disc and then this information can be erased and the compact disk reused. In addition to the three main types of compact discs discussed above, different logical formats exist. Each of the three types of compact disks can be written or recorded to these different formats. Listed below are several of the CD formats that have been introduced. The CD-DA disc or digital audio CD is one that is written according to the Red Book standard. Digital audio written according to the standard is digitized at 16-bit quantization and at a 44.1 kHz (samples per second) sampling rate. CD-ROM stands for compact disc read-only memory. Basically, this format follows the specifications in the Yellow Book standard. The CD in this logical format can be used to store any type of file such as text, software programs, image files, etc. This type of compact disc is also known as the CD-V or video CD. This is a special video format specifically designed for storage on the low capacity CD. It uses MPEG-1 encoding quality that can be as good as VHS, but often poor encoding results in video quality that is not very good. The super VCD was a successor to the standard VCD and provides about 2.7 times better resolution. 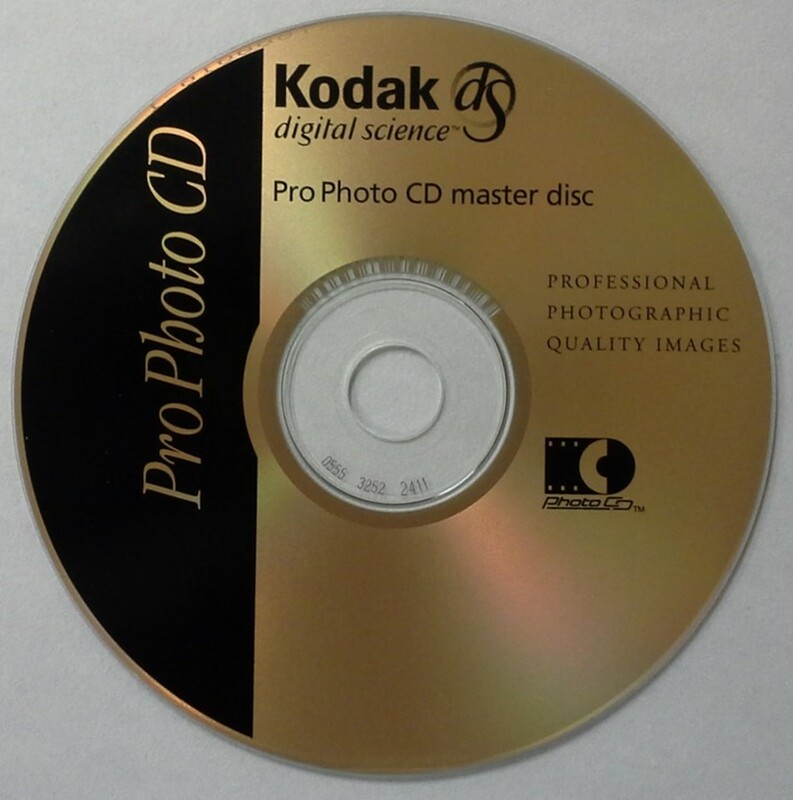 The photo CD was a proprietary product from Kodak for encoding and storing photographs digitally. This is one of several types of compact disc formats that are now obsolete. In terms of construction of the disc, it is the same as the Kodak gold disc or an archival CD-R. The base of the disc is gold in appearance and a picture of the top side of the photo CD is shown below. The CD-i disc is the compact disc interactive disc developed by Philips and follows the Green Book standard. With a CD-i compatible player the user was provided with a certain amount of interactivity and the CD contained multimedia information such as audio, video, and still images. The user could navigate using a remote with a pointing device and various options presented on the screen could be selected. The CD plus Graphics disc is basically used to play audio and display graphics and is often used with Karaoke machines. Other types of compact discs include: CD-midi, enhanced CD, CD-text, CD + extended graphics, HDCD, and super audio CD.